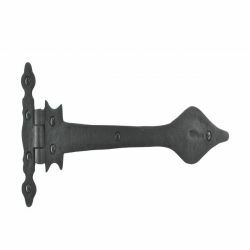 This beautifully-textured Wrought Iron Spear Door or Gate Pintle Hinge, is crafted of quality materials and it will add an authentic period-style feel to your home, because it is fabricated of a very durable, attractive, and strong material. 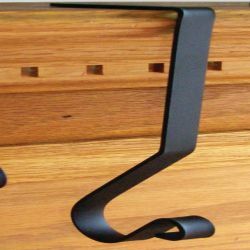 A wrought Iron hinge can be the perfect way to add some Colonial and Country detail, to your old or new doors, or a gate. 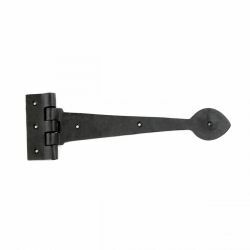 Your Wrought Iron Strap Hinge can be removed from the pintle pin, and it is completely reversible. 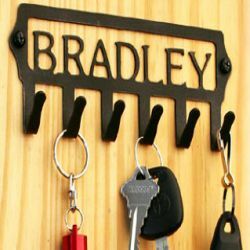 Wrought Iron Pintle Door or Gate Hinge has a black protective coating to protect your hinge against the elements, to last for many years. 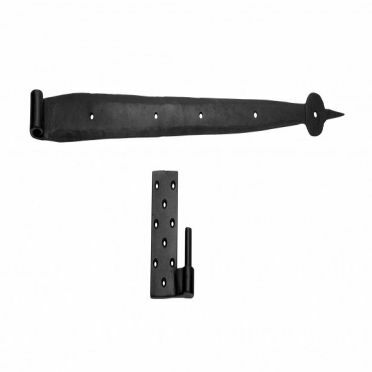 Overall this strap hinge, together with the pintle plate, measures 24-1/2 inches in Width overall. 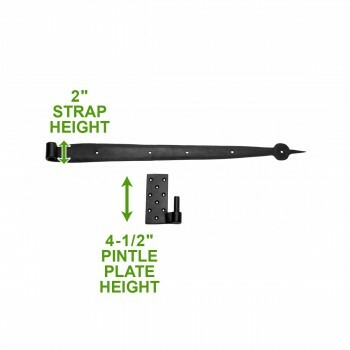 It is 4-1/2 inches in height when measured at the Pintle Plate. (See our 'Measurement Table' below, for a complete list of dimensions). 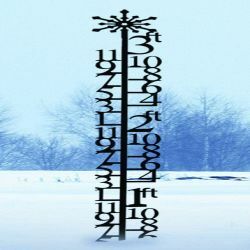 Sold Individually, and all mounting hardware is included.